The Royal United Services Institute was founded in 1831 as the ‘Naval and Military Museum and Library’. The founding patrons were the Duke of Wellington and King George IV and its members were drawn from the officer classes of the services. However, it received its royal warrant from Queen Victoria and the museum received a significant Florence Nightingale collection on deposit – now dispersed to other institutions. The history of women at RUSI, though, really begins in 1941 when the RUSI Council voted to admit women, with the caveat that they were in uniform. In 1942 the first seven women members were recorded in the RUSI Journal and I will discuss who these women were and the roles they played in the history of women in the armed services. As a consequence of making this discovery, I began to ponder what the presence of women was in the collections and began the process of establishing a women’s studies collection and re-classifying books by and about women as I discover them on the shelves of the library. I will give some initial responses to the material I’m finding and what it says about women in military history. 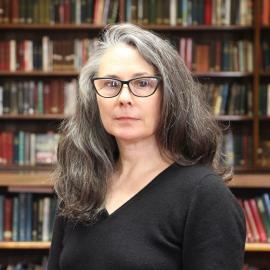 Bio: Jacqui Grainger is experienced with managing and promoting research collections of historical significance nationally and internationally. This experience of working with rare, unique and distinctive collections includes the development of collections that include rare books, archival, museum objects and fine paintings in heritage buildings has involved developing the vision and strategy for regenerating collections through increased researcher and public awareness of their strengths.